Two participants compete in a frantic race to see who can pop their balloon first. 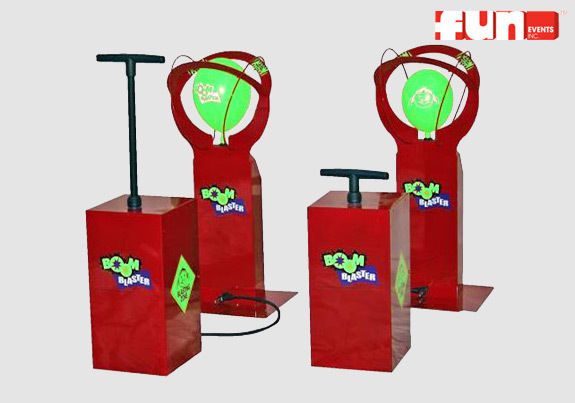 Each person rapidly presses the detonation style pump to inflate their balloon to the popping point. (Game includes 100 Balloons) (Older Kids & Adults) Carnival Game rentals are a fun idea for your next birthday party, school carnival, church festival, special event or fund raiser.